Discussion in 'Suggestions' started by _Joosh, Jun 7, 2017. Do you get any form of lag on the server. So i see alot of people complaining in chat about Block Lag and i totally agree with them. The lag on this server is just stupid when 90% of the time you are digging out areas to plant your farms or pvp. And before you guys say "get better internet" "its your ping, here is my speedtest result and my ping to the server. And here is a video of the servers block lag. Either the staff can listen to this and fix the issue before the server just crumbles due to the lag, or actually make a difference and show the community that they listen. Split the server up, have a EU based server and a US server. This would at least Half the load on the servers meaning everyone isn't crammed into one server, it doesn't matter if there's only 70 people per server that is still ALOT!. Also this number would increase as people realise that this has been implemented and there is no longer any lag so they would join and not leave after 5min. We have constantly been working on resolving this issue. This is simply something we cannot just fix over night. It's going to take time. Here is a suggestion, split the load. Have one hub then multiple servers for example buy a EU server and a US server, this will at least half the population of the serve to 60-70 each will will dramatically improve the performance and that's coming from someone who works at a Hosting Company. The issue is we don't want to split the main world where people live. We want there to only be one wild. We are trying to find solutions, like I said it will take time. I assure you this is our main priority right now to get fixed. If it is your main priority, you would do my suggestion. I think people would rather have a new world where they get no lag or dramatically less lag, than a world crammed with hundreds of people and it takes 5min to dig out a 5x5x3 area underground because of block reappearances. You are trying to guilt the Head Staff into fixing the TPS for - probably - selfish reasons. The server is only suffering from bad lag because of many players recently joining the server. They did not anticipate these many players joining. People who complain are only setting back the progress that they need to put into the server to fix it. Also, this community will not crumble because the server has lagged for a day. It has been more than i day, i use to play this server all the time but then quit for a few months, came back the lag was bearable but still not good the block lag was terrible. And now joining its just horrible. im not doing it for selfish reasons, honestly i couldn't care less if the server stayed laggy i would just go do other things. im saying it for the benefit of the people on the server. The lag isn't even bad right now, at all. It's definitely in a better state than "bearable". From my experience, I assume you have a poor connection to the host of the server, on top of the fact that is it admittedly suffering from some TPS drops due to plugin issues. My connection is fine as i stated in the original post. The server is what is bad. We are actively working on increasing server performance. Being a dickhead about it on the forum and taking our time to reply to threads like this does not help. Now you're attacking them personally. You are just being a nuisance. However, thank you for that snippet of information at the end, Mr. Assistant Manager of a Hosting Company. What makes you think that I added any RAM at all? We never said that it was a RAM problem. We've tried many optimization tips, but are still actively looking for the major problem. Also, I called you a dickhead because you're being a dickhead. I also never said I wanted to be your friend. I often run into an issue (maybe a bug, don't know what to call it honestly). You may be experiencing this. When you are mining fastly, especially using your mcmmo super breaker. What happens is a block isn't actually mined, but becomes invisible. Then when you slow down and stop mining, It doesn't fix. So when you are trying to mine a block, there is a block blocking you from mining it. The fix: place some blocks when it happens. One block you place will turn back to its original block. Then you can continue on. This isn't block lag, but some kind of (bug? whatever). This is probably what some players experience and assume its block lag. Not saying you are getting it, as you could be experiencing actual block lag. Just letting others know. This is due to the lag, its because your mining so fast the client registers as you broke the block but the server cant keep up and says its still there. IDRC if its cause of lag, if I can easily fix it myself I wont be complaining about it. Well you cant fix it yourself, you dont need to get salty because i explained what was causing it and implied you could do nothing about it. Actually Chinkson this isn't due to server lag at all... It is a super breaker mcmmo bug. The blocks vanish when you are nearing the end of a super breaker. A simple relog will reveal the blocks or teleporting to spawn and back will also fix them. This has happened for the past few maps. That is what I thought it was, but I wasn't going to start a big argument with this nut. I'm going to close this thread out. We're always working to optimise and improve our server performance to give your all the best experience. 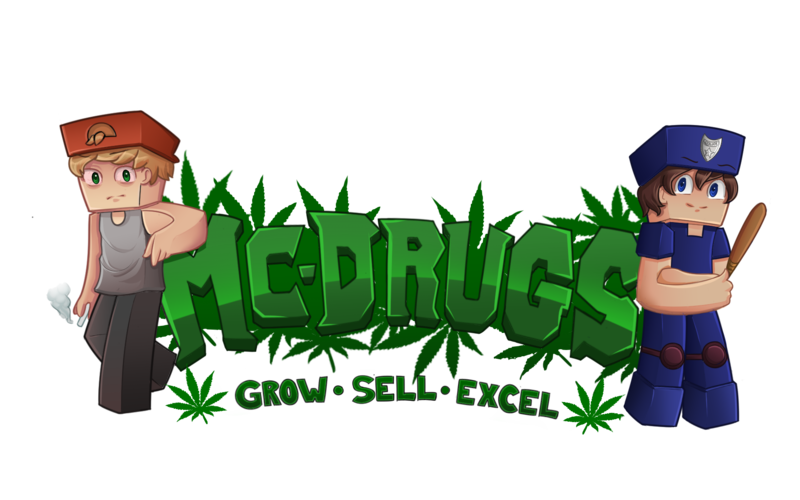 We have been running MCDrugs for 5+ years, we have about as much experience specifically with minecraft servers as you could get. We're aware that at some times, some players are experiencing severe block lag - at this point, your internet connection is almost irrelevant. It's an almost fundamental issue. We do not want to fracture the server into different pieces to improve the performance. It's also not something that simply throwing more money at can fix. If you were to go through our previous posts, any of our update logs, profile pages, hell...even old caches of our site on Waybackmachine - you'd see that we listen and respond to our players above and beyond that of most our size. This thread does not help us in any way, we're aware of the issue and are working on it and complaining about it in this way does nothing but make the situation worse. Finally, any asshat can start up some hosting company. It's not difficult.